Yesterday, Coinbase launched a new feature that lets European customers buy virtual gift cards using cryptocurrency. The feature stems from Coinbase’s partnership with London-based gift card startup WeGift. Thanks to this partnership, Coinbase is now able to offer purchaseable gift cards accepted at over 120 retailers. This is undoubtedly good news for cryptocurrency enthusiasts, especially those struggling to find places to spend their digital wealth. In today’s market, most retailers fail to accept cryptocurrency as a form of payment. Gift cards purchased using cryptocurrency, on the other hand, is apparently fair game. 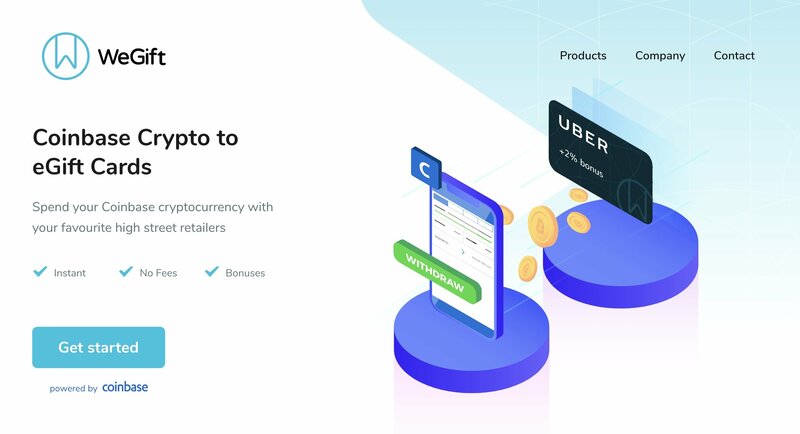 Using Coinbase and WeGift’s new feature, owners of cryptocurrency like Ethereum, Bitcoin, Litecoin, and Bitcoin Cash spend their bounty at retail stores with zero caveats. Included among participating retailers are Google Play, Nike, Ticketmaster, and Uber. Coinbase promises zero withdrawal fees for converting your cryptocurrency to gift card format, so if you’ve been holding on to cryptocurrency and have no future plans for it, you can use this program to cash out. “From converting Bitcoin into Uber credits or Ether into a Nike shopping spree, customers will have greater flexibility and control over how they use their crypto,” explains Coinbase in a new blog post. It’s certainly interesting to see Bitcoin being utilized like this, as it's another way to help circumvent the scalability problems plaguing Bitcoin while other solutions are perfected, such as the Lightning Network. Despite the usefulness of Coinbase’s new feature, there is a bit of bad news for crypto enthusiasts in the United States. Right now, Coinbase’s gift card program is exclusive to European locations such as France, Italy, Spain, the Netherlands, Australia, and the UK. Additionally, many altcoins aren’t supported by this feature either. Coinbase notes they have plans to expand to other locations in the future, so it’s possible support for additional coins will be added in as well. In the meantime, what do you think of Coinbase’s gift card feature? Do you have plans to convert some of your Bitcoin this way, or would you rather hold on in the event that Bitcoin’s value continues to increase? Let us know your thoughts down in the comments below!